Showing 1 - 15 of 20 articles tagged "Legion"
Twentieth Century Fox owns the right to the character played by James McAvoy, and previously by Patrick Stewart. Stephanie Corneliussen and Harry Lloyd will respectively play David Haller's mother, Gabrielle, and father, Professor X. We are living in TV's golden age of "What the hell did I just watch?" Westworld isn't the only show that confuses viewers, intentionally or not. 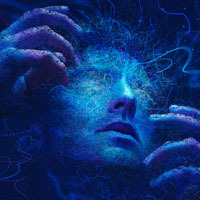 Legion's Noah Hawley on the Season 2 finale: "It was stuff that we already filmed, basically"
Hawley says the additional 11th episode was assembled from previous material from the cutting-room floor. Noah Hawley on Legion Season 2: "What happens if we take this roller coaster off the rails?" "There's now, what, 500 shows on the air?" says the Legion creator. Season 2 will expand to 11 episodes, with the season finale of the FX series set for June 12. Hawley only had to place a phone call to give the second season a "point of view. The FX superhero series still looks "wonderfully weird" in Season 2.